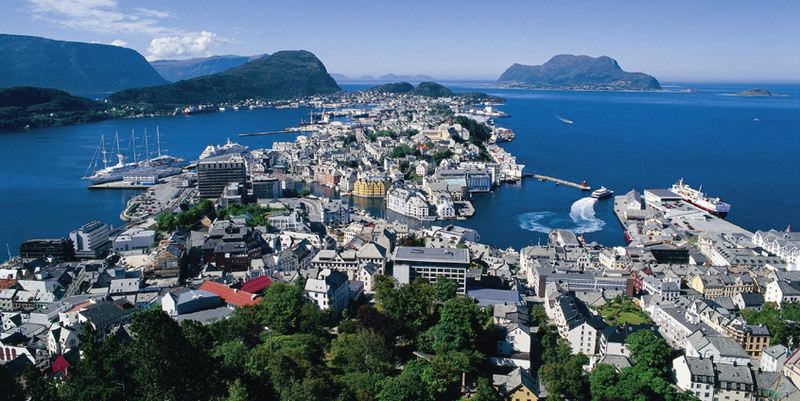 Experience the beautiful town of Ålesund. 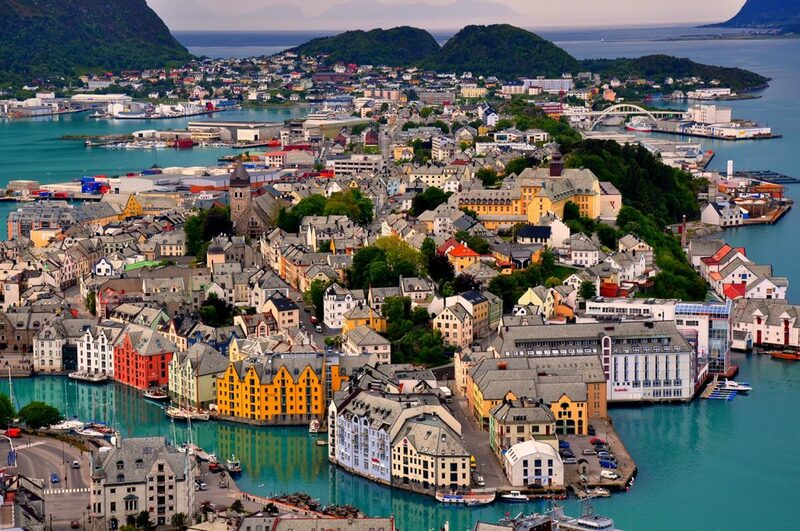 The city of Alesund has 45.000 inhabitants and is one of the most important fishing harbours in Norway. 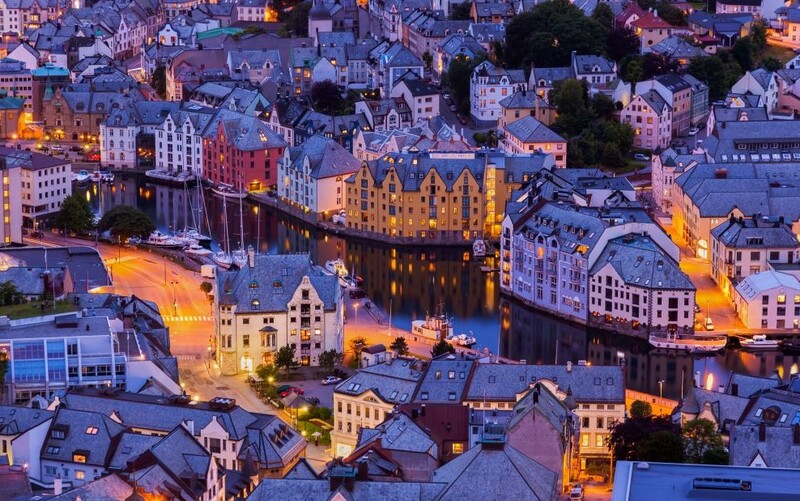 After a devastating fire in 1904 which destroyed most of the old wooden buildings, the town was completely rebuilt on the initiative of Kaiser Wilhelm of Germany. As a result, Ålesunds architecture is unusually consistent and has a unique concentration of Art Nouveau / Jugendstil. 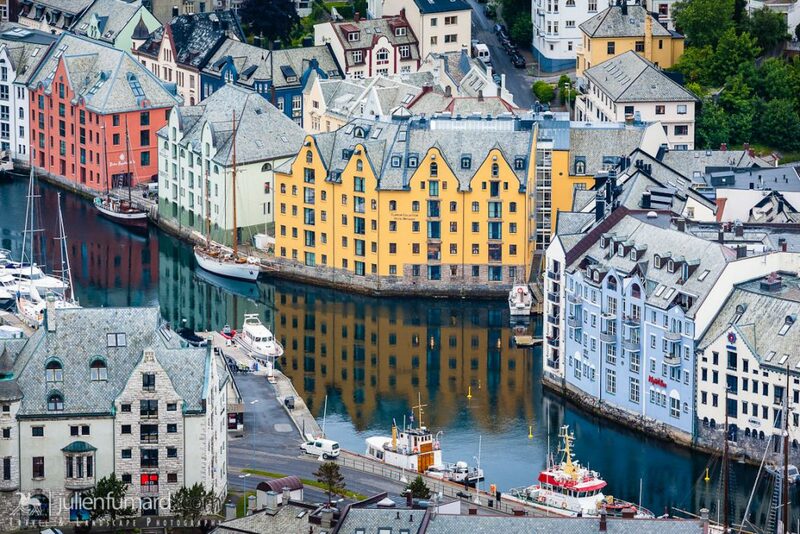 We will see Sunnmøre Museum, the fabulous views from Aksla Viewpoint / Fjellstua and several stops in the charming town center.